Most Hawthorne, CA property owners have voiced their concern with regards to being able to find a reliable plumber when needed. Our team is different though, in that we can be contacted 24 hours a day, 7 days a week at (323) 745-2839 for any plumbing needs that you may have – regardless of whether it is an emergency or not. Our expert plumbing technicians will not only make sure that they arrive at your property on time; all of them are highly experienced and knowledgeable, which means that all repairs, new installations and ongoing maintenance will be done according to current industry standards. Any property that is more than 10 to 15 years old will normally start needing repair work to be done on fixtures such as water heaters, faucets and garbage disposals. Not only are these items costly to replace; if a water heater happens to burst, you could find yourself having to pay to replace ceilings, closets, cabinets, dry walling and flooring as well. It is also essential to ensure that fixtures are replaced by a Hawthorne plumbing company who is suitably qualified, licensed and insured. Failure to do so could result in your insurance claim for water damage and damage to fixtures being voided. All of our plumbing technicians are able to install these devices correctly and efficiently. If a water leak on your property goes undetected for a few weeks or months, you could not only find yourself being saddled with a water bill amounting to hundreds of dollars; other damage caused as a result of the leak could cost even more to repair. When we send a Hawthorne plumber to your property to perform leak detection, the task is performed as efficiently as possible. In addition, we have the correct equipment needed to detect slab leaks, no matter how small they may be. Because plumbing emergencies happen at the most inconvenient times possible, we provide our clients with an emergency service at the most competitive price possible. Regardless of whether your problem consists of a broken faucet that is flooding your kitchen, a blocked drain or a burst water heater, our team will assist you as quickly as possible – no matter what time of the day or night it is. We pride ourselves in offering emergency plumbing Hawthorne residents can depend on & recommend to their family and friends. 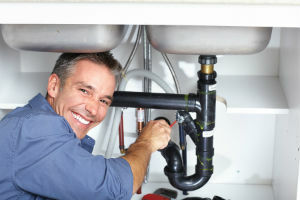 24 Hour Hawthorne Plumbers | Schedule an Appointment Today!